Should middle and high school students be allowed to bring their own smartphones or tablets to school? Until recently, most teachers and parents would have said no. An increasing number of public schools around the country are implementing “Bring Your Own Device” (BYOD) programs for their students and are finding the educational benefits of such programs to be outstanding, according to Education Week. This piece offers a list of the top 3 reasons many teachers love BYOD. Cite World explained that teachers who have had direct experience with BYOD programs at their schools in Kentucky have divulged that students become more engaged in learning and participate more in class when they can use their own mobile devices. Today’s students are generally excited about new technologies. When they own the technology on which they are doing their school work, they become more interested and invested in the material and show a greater desire to do well in class. Student success rates are high at schools that employ BYOD programs. BYOD is also a good selling point in attracting top students from outside the district or in getting parents to enroll their children in new charter schools. Every school that has a BYOD program can also lay out clear rules for students regarding the use of their devices in class. Social media sites are almost always banned during class time. 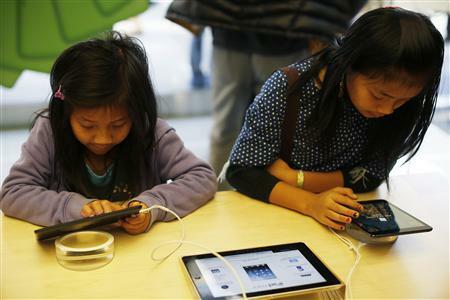 The use of other websites and even apps may also be banned, depending on the particular school and its needs. Use of devices may be restricted to only certain times during class as well. Most students have to sign agreements saying they will follow the rules, and may be suspended or barred from the BYOD program if they habitually break those rules. While the whole concept of BYOD is still relatively new to public schools, those that are using it are adapting well. Some schools are even taking a page from the BYOD policies governing students as well as staff at colleges and universities and are implementing mobile device management (MDM), according to Alberta Education’s “Bring Your Own Device: A Guide for Schools.” This allows teachers or school administrators to control what software and apps are installed on students’ devices, block certain websites while on campus, and even delete unauthorized apps remotely. Some companies like MDM by Blackberry offer this service to schools and give them the ability to control every brand and type of device from one platform. This ensures all students are in compliance with school BYOD rules. BYOD saves schools precious dollars. By allowing students to bring their own devices, schools can avoid the huge expense of having to provide every student with an identical device. The New York Times disclosed that schools may still set aside funds to supply devices for students whose families can’t afford them, or let students borrow devices. The money a school saves by implementing BYOD can be used to invest in other teaching technologies, such as innovative software, interactive whiteboards, 3-D printers and more.